For the girl that just doesn't do pastels, we present her Royal Highness, a vision in purple satin. Sophisticated enough for rubbing elbows with visiting dignitaries, simple enough for a trip to Grandmas. 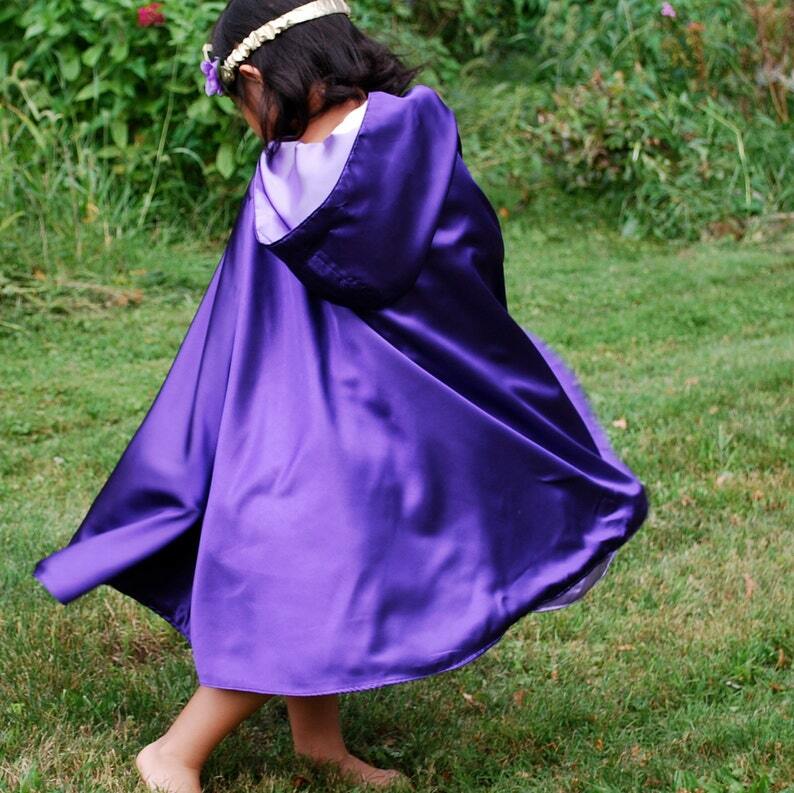 The cape is fully lined in lavender sparkle satin. 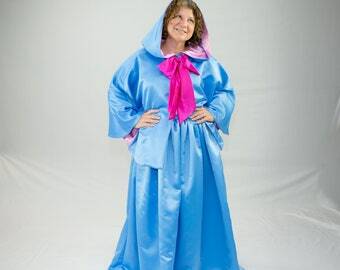 It closes with a velcro tab at the neck, hidden by a matching lavender bow. The bow is machine stitched in place. The cape is a three quarter circle constructed with side seams, and over three yards of fabric to allow dramatic twirling. This listing is for the cape only.